Coachella 2012 welcomed tens of thousands of underdressed and ill-prepared music enthusiasts to its swim team tryouts on Friday. Hopefuls will contend with wind, rain, mud, cold and the dream of the 90s, which is still alive, in Indio, as evidenced by James playing "Laid" over the live stream. 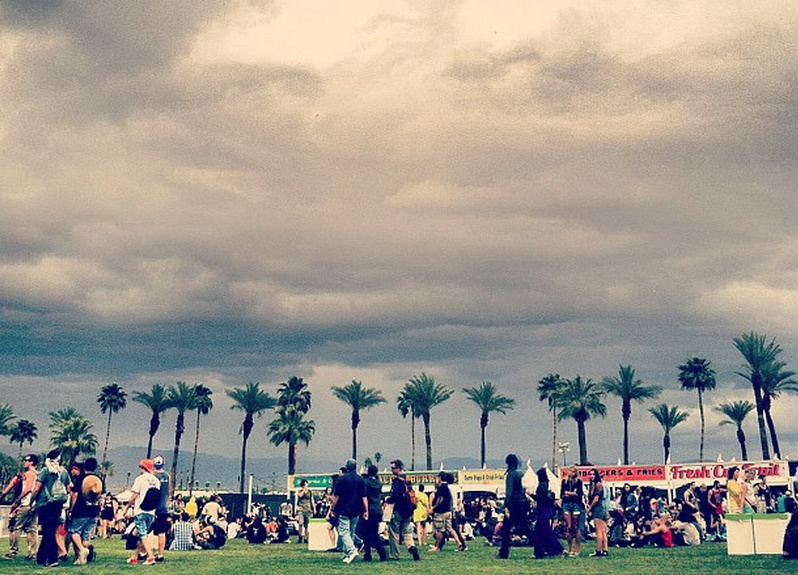 Horrible weather for the first day of #Coachella !! Party in the rain! http://pic.twitter.com/dDv5JSHqMelissa. Its......everything I thought it would be. RT @BrittanysChoice #coachella http://instagr.am/p/JYGbBPLbax/Giovanni B.